Where’s it going to end? First news came of pilots taking iPads into the cockpit for their work. Then doctors started using them. Astronauts are taking them into space and garbage collectors in the UK have been given them. But what’s this? Can it really be so? According to an LA Times report, orangutans at Milwaukee County Zoo are the latest recipients of Apple’s popular tablet computer. Apparently, while the gorillas at the zoo reacted somewhat indifferently when handed the tablet (perhaps they’d been hoping for a Kindle Fire), the orangutans were over the moon. OK, perhaps we should back up a bit here and explain. It all started when one of the zoo keepers joked on her Facebook page that she’d like to give some iPads to the zoo’s apes. After reading the keeper’s idea, a volunteer at the zoo donated an iPad. Soon after that, the Apps for Apes iPad program was born. You read it right, Apps for Apes. Jan Rafert, curator of primates and small mammals at the zoo, explained that they don’t put the iPad inside the enclosure for fear of it being broken in two by the super strong creatures. “We show them the iPad, and read them stories or let them have different apps,” Rafert told the LA Times. “We don’t let them hold them, but they can do some of the paint apps by sticking their fingers through the mesh.” Indeed, a video (below) of the orangutans using the iPad shows a long spindly finger painting a picture, though what it’s of isn’t exactly clear. 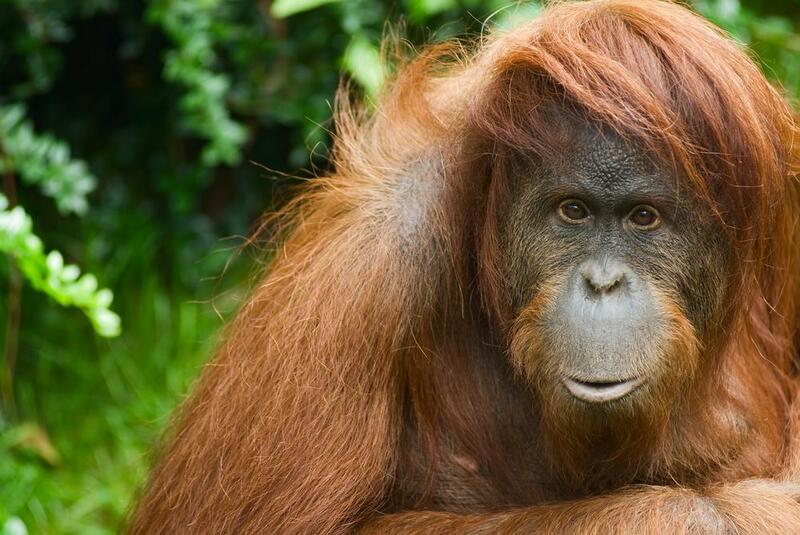 Orangutan Outreach, an orangutan conservation program, is helping to get iPads into the hairy hands of orangutans at other zoos, including Zoo Atlanta, the Toronto Zoo and the Phoenix Zoo. Once that happens the plan is to organize “primate playdates” between orangutans at different zoos, presumably using FaceTime, which allows video calls between Apple devices. Executive director of Orangutan Outreach Richard Zimmerman said that the Apps for Apes program has two primary goals: to provide stimulation for orangutans and to raise awareness for the welfare of the animal in Malaysia and Indonesia, two countries where orangutans are falling in number and also where their habitat is coming under increasing threat.